A travel and trekking guide for over 20 years, Yatish is a dear friend and one of the most knowledgeable Indiaphiles we have ever met. Whether it be birds, mountain passes or history, Yatish posses encyclopedic understanding and stories to boot. 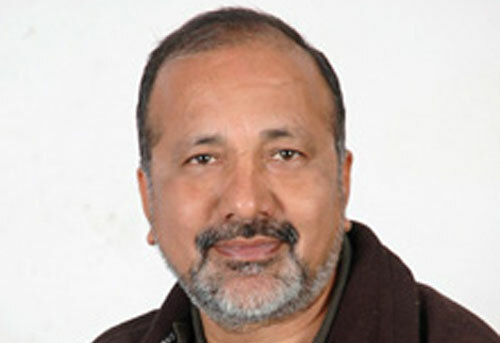 Yatish was born and raised in Pauri, Garhwal – foot hills of the Himalayas and did his Post Graduation from Garhwal University in Indian History. A professional guide since 1983. Yatish has led innumerable, Trek cultural, history, wild life tours and Safaris, throughout the Himalayas and the Indian Subcontinent. He has co-led trips for Scientific Explorer Society of UK, Dr. Lute Jerstad (summiteers of Mt. Everest) and with Sir Gorge Band (UK). Apart from leading trips he has been engaged in various other activities as – research work in Garhwal and Kumoun Himalayas for a trekking guide book ” TREKKING IN INDIAN HIMALAYA’ a Lonely Planet Publication. (Second edition). Yatish leads some of our India cultural tours as well as new trips to Ladakh, Sikkim and the Indian Himalayas. Assisted and worked as a guide for Mr. Mark Shand for his Book called “River Dog”. Documentary films – “Queen of Elephants” by Discovery Channel. “Source of Ganges” by Icon Films for BBC, presenter Mr. William Daryimple and directed by Mr. Hugh Thomson. India Diary by National Geographic, presenter Mr Mark Shand.